We can start talking about the history of Macedonia, saying that the Republic of Macedonia occupies the western half of the ancient kingdom of Macedonia. The historical Macedonia was defeated by Rome and became a Roman province in 148 BC. 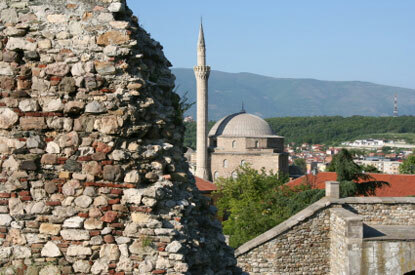 After the Roman Empire was divided in 395 AD, Macedonia was intermittently ruled by the Byzantine Empire until Turkey took possession of the land in 1371. Another surprising fact in the history of Macedonia is that the Ottoman Turks ruled Macedonia for the next five centuries, until 1913. During the ages 19 and 20 in the history of Macedonia was a constant struggle by the Balkan powers to possess Macedonia for its economic wealth and its strategic military corridors. Therefore we show in the history of Macedonia as the Treaty of San Stefano in 1878, ending the Russo-Turkish War, gave the biggest part of Macedonia to Bulgaria. 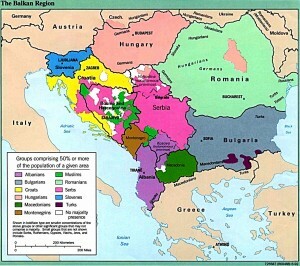 Bulgaria lost most of its Macedonian territory when was defeated by the Greeks and Serbs in the Balkan War of 1913. Most of Macedonia went to Serbia and the rest was divided between Greece and Bulgaria. powers in World War II and occupied parts of Yugoslavia, including Macedonia, in 1941. During the occupation of their country, Macedonian resistance fighters fought a guerrilla war against the invading troops. The Yugoslav federation was reestablished after the defeat of Germany in 1945 and in 1946, the government removed from the territory of Vardar Macedonia from Serbian control and made an autonomous republic of Yugoslavia.Later, we find in the history of Macedonia that when President Tito recognized the Macedonians as a separate nation, culture and distinctive feature of Macedonia and its own language was able to thrive, not being more suppressed by the foreign rulers. A realtive recent and very important fact in the history of Macedonia is that in September 8, 1991, Macedonia declared independence from Yugoslavia and asked for recognition to the European Union nations. Macedonia actually became a member of the United Nations in 1993 under the provisional name Former Yugoslav Republic of Macedonia (FYROM) because Greece protested loudly that they are right about the name Macedonia, since it is also the name of a large province in northern Greece. In Greece, the use of the name Macedonia implies the interest of the land area in the Greek province. Greece has imposed two trade embargoes against the country accordingly.